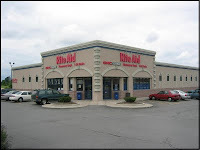 Rite Aid Corp. (NYSE: RAD), the third largest US retail drugstore chain, is scheduled to release financial results for the third quarter ended November 28, 2009 on Thursday, December 17, 2009. Analysts, on average, expect the company to report a loss of 18 cents on revenue of $6.38 billion. In the year ago quarter, the company reported loss of 30 cents per share on revenue of $6.47 billion. Rite Aid Corporation, through its subsidiaries, operates retail drugstores. Its drugstores primarily provide pharmacy services. The company sells prescription drugs and front-end products. As of November 28, 2009, the company operated 4801 stores, compared with 4,914 a year ago. The drug retailer has lost money in each quarter since its June 2007 acquisition of Brooks & Eckerd. Total losses have amounted to more than $4 billion amid massive write-downs. Late in September, the Camp Hill, Pennsylvania-based company reported second-quarter results that recorded a ninth straight quarter in which it posted a loss. Net loss attributable to common stockholders was $120.38 million or $0.14 per share, compared to a loss of $227.39 million or $0.27 per share in the same quarter of last year. Revenue for the quarter were $6.32 billion, compared to $6.50 billion in the prior year quarter. Analysts, on average, expected the company to report a loss of $0.16 per share on revenue of $6.40 billion for the quarter. Same store sales for the quarter declined 1.1% over the prior-year 13-week period, consisting of a 4.9% decrease in the front end and a 0.8% increase in pharmacy. Excluding the acquired Brooks Eckerd stores, same store sales for the 13-week second quarter decreased 0.6% over the prior-year period with front-end decreasing 4.9% and pharmacy growing 2.0%. Gross margin was 26.7% for the thirteen week period ended August 29, 2009 compared to 27.4% for the thirteen week period ended August 30, 2008. The struggling drugstore chain operator said in September that it expects negative trends and a tough economy to continue throughout the second half of the year. In September, the company lowered its earnings and revenue guidance for fiscal 2010. Net loss for fiscal 2010 is now expected to be between $390 million and $615 million. Earlier, the company expected net loss for the year in a range of $265 million to $490 million. For fiscal 2010, the company now expect loss per share to be in the range of $0.48 to $0.74. Earlier, the company expected loss per share of $0.33-$0.59 per share. For fiscal 2010, Total sales are expected to be between $25.7 billion and $26.2 billion with same store sales ranging from a decrease of 1.0% to an increase of 1.0% over fiscal 2009. Earlier, the company had projected fiscal 2010 sales of between $26.30 billion and $26.70 billion, with same store sales improving 0.50% to 2.50% over fiscal 2009. Rite Aid expects its front-end sales to continue to be pressured during the remainder of fiscal 2010 as cautious consumers continue to spend less on non-essential items and be more aggressive about searching for promotional sales. It expects pharmacy gross margin to be lower than the prior year for the remainder of fiscal 2010 due to continued reimbursement rate pressures, fewer new generics and the impact of the recently implemented AWP cost adjustments on Medicaid business. The company has reported drop in same-store sales during each month of the quarter. Rite Aid reported a 0.8% decline in comparable store sales for the five-week period ended November 28, 2009, compared to the same period last year. Total drugstore sales for the quarter declined 1.8% to $6.329 billion from $6.444 billion in the year-ago quarter. Same store sales for the four weeks ended October 24, 2009, decreased 0.5% while September same-store sales fell 0.3%. The company has been closing stores and cutting debt in response to poor corporate performance, but these moves haven't proved fruitful so far. Rite Aid's trouble has been compounded by intense competition from its larger rivals, Walgreen (NYSE: WAG) and CVS (NYSE: CVS), as they continue to add stores to their chains. Rite Aid's name has often turned up in various bankruptcy risk list. The turnaround still remains elusive and the company has been struggling to integrate Brooks & Eckerd. In terms of stock performance, Rite Aid shares are down 15% since the beginning of third quarter.